I love teaching and learning beside my wonderful Team Toma Titans! Thank you for attending the Hilton Open House. It was so great to meet you all. If you have not already signed up for a parent/conference in October-November, please send me an email and I will schedule you an available time. Please be sure to pack your child two snacks per day. 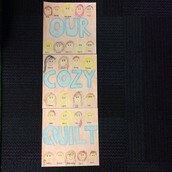 We have one snack at 10:30 A.M. and the other at 2:40 P.M.
Miss Justin put the finishing squares on our classroom quilt. 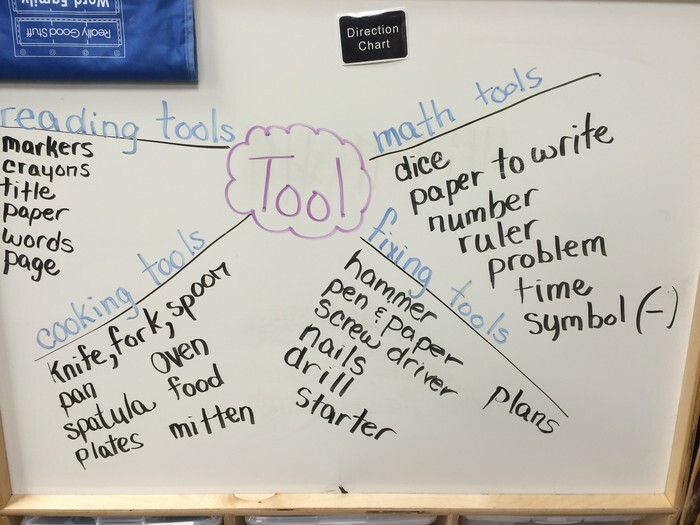 The children brainstormed the word tool and then came up with different categories. Next, the kids thought of items that went into the categories. 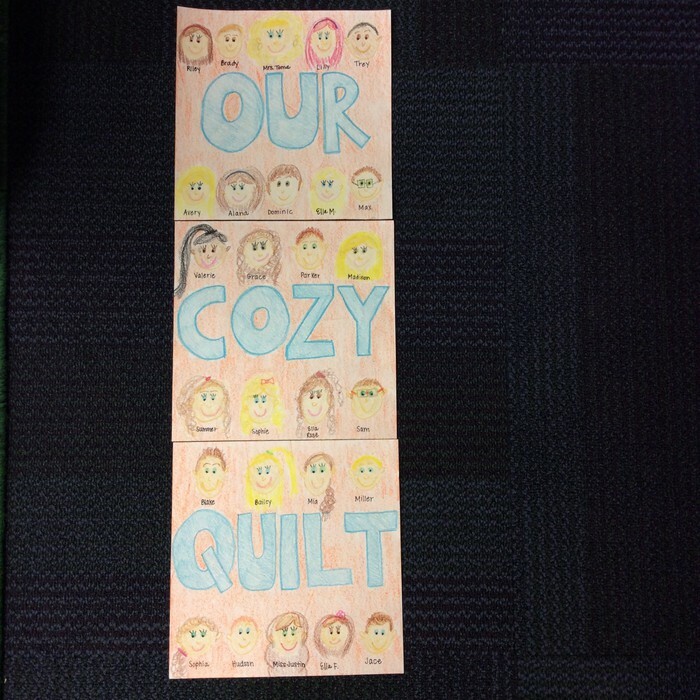 This is an example of some stellar student work! 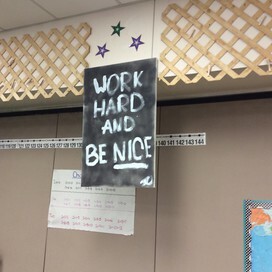 The children had a busy week as they began to build stamina towards our daily classroom schedule. They participated in a science investigation involving seed pods and learned what scientists do. The children participated in SPARK time, in which the children and I walk/run for ten minutes each morning. They are loving the movement first thing in the morning. The calendar and weather class routine is down pat. Ask your child to sing you the calendar song or the weather song. I have begun to teach the children about reading to themselves. So far they can read independently for 2 minutes as a group within becoming disengaged. The goal for our classroom is for every child to read for 30 minutes at a level 18 by the end of the year. The children were troopers as they completed a 15 word spelling assessment. I presented 5 words per day for three days. They wrote those words the best that they could. 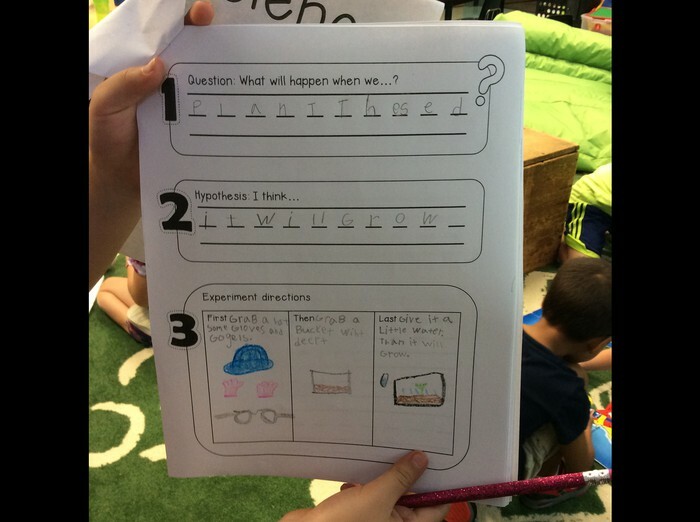 This week I will be studying their assessments to see what each child knows and what I get to teach them. 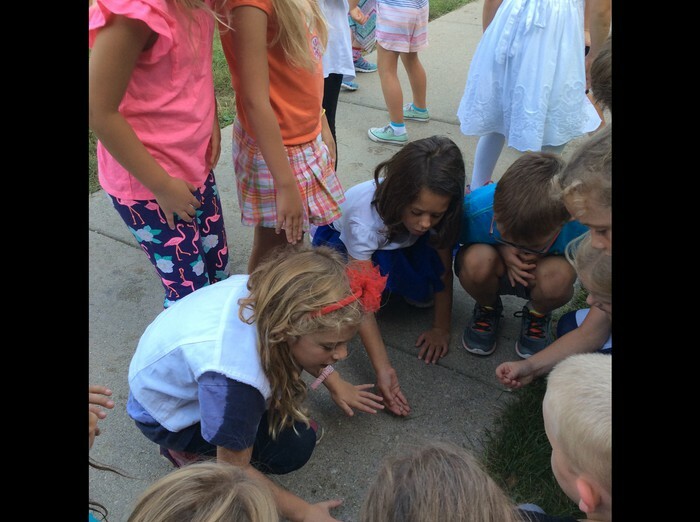 Sophie found a caterpillar on the playground and all the children were amazed by it. 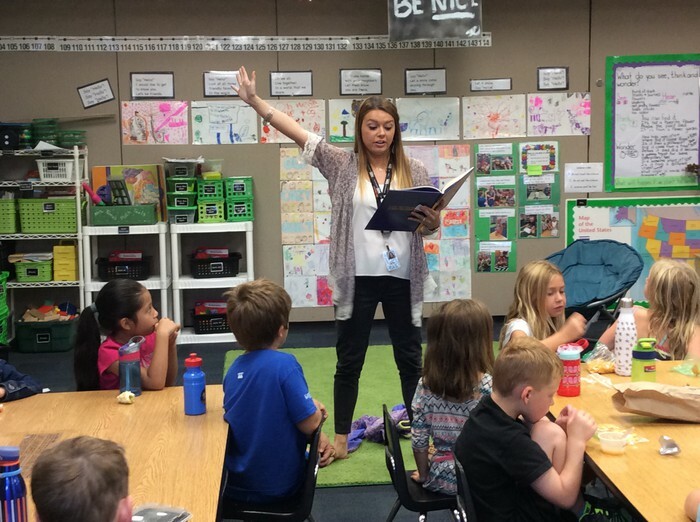 The children heard Flat Stanley read aloud over the first nine days of school. They enjoyed Miss Justin's intonation and acting during the story. At the conclusion of Flat Stanley we began Goonie Bird Greene, a really silly story about a first grader who dressed in pajamas and cowboy boots. 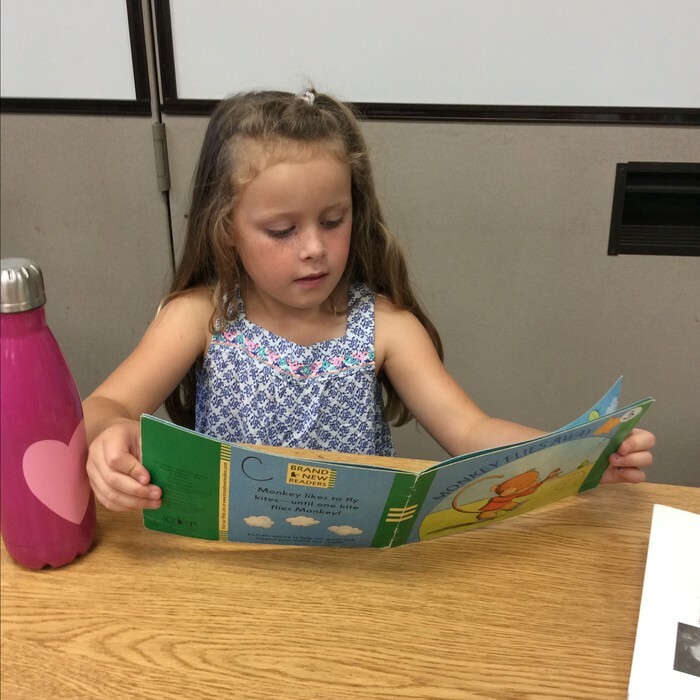 Summer shows the class what it looks like to be a good reader during read to self time. During math, the children learned how to play a fun game called Penny Dice. They also became familiar with songs to help them count by 2, 5, and 10. Ask your child to tell you about the template that they used in math with the different shapes.